In addition to the stunning swimming pool and hot tub facilities, Petit Planica features an in-house masseuse service to help recover from the strain of the mountain (subject to availability and payable locally). 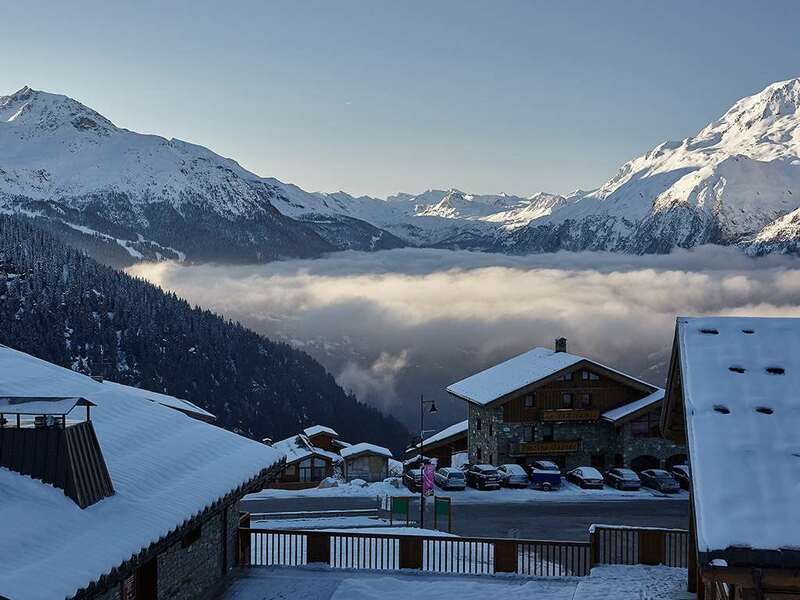 This Chalet is a ski in/ski out chalet with the nearest lift being only 50 metres away, from the top of which a high speed 6-man chairlift will whisk you to the top of the mountain. For beginner skiers the nursery area is located right next to the chalets. FREE WiFi offers you the chance to catch up with the snow forecast or your friends back home. In-house Ski & Boot hire is available from this chalet. Breakfast-A hearty buffet of cereals, fresh French bread and jams, boiled eggs, porridge, fresh fruit, yogurt, juices, tea, and coffee. Cooked breakfast will be available on five mornings a week. On your return from the slopes every day a delicious afternoon tea is provided of freshly baked cakes, bread and jams, and tea or coffee. On six evenings you will enjoy a wonderful three course evening meal accompanied by complimentary regional table wine. On the festive last evening of the week the meal is followed by a delicious cheeseboard of local specialities and complimentary port. We are a group of 4 'mature' ladies who choose to ski together annually. We used a forum to find resorts within a reasonable transfer distance of Geneva (to take advantage of direct flights avoiding Gatwick) and of all the 147 replies, Chalet Petit Planica in La Rosiere ticked all the boxes; modern, fully-catered and ski-in / ski-out. We chose Iglu Ski and Ski Specialist Darren James was a patient gem from start to finish. The Chalet was all it promised to be with the added bonus of the most fantastic chef; Myles Williamson! The rooms were a fair size, clean, warm and our adjoining twin rooms shared a private south-facing balcony. So after a days skiing, we'd take our tea + delicious home-made cake sitting in our swimwear gazing over to Les Arcs across the valley We'd then swim in the Chalet's indoor pool and/or use the sauna, jacuzzi + steam room. After showering we would again watch the sun go down over the mountains with a glass of champagne before going down to dinner. And what a pleasure that was each evening. It was fine-dining every night of the week. The ski host was most helpful but if any criticism could be levelled it would be to discourage beginner skiers from joining the ski-hosting.